Or should I say, who doesn’t like wine?! 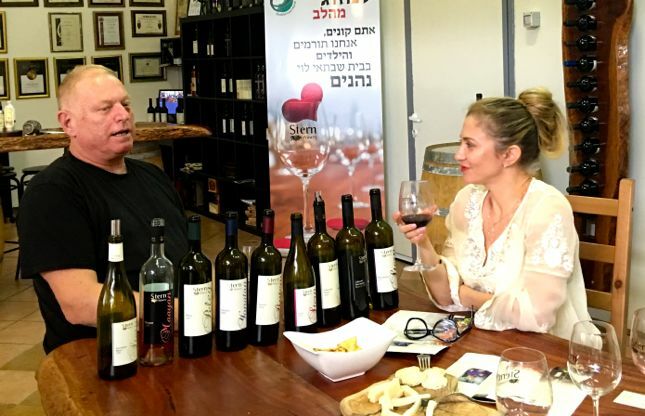 Even my sister Orly who used to never drink wine is now an expert, and thanks to her, I’ve discovered the fascinating world of Israeli winemakers. 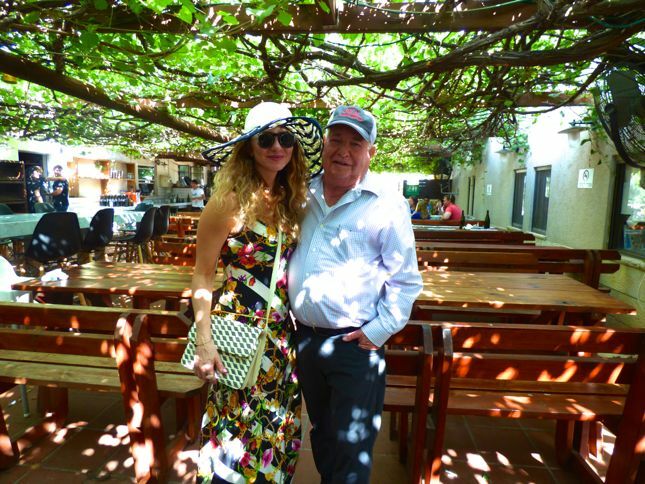 During my extended stay in Israel, we visited quite a few wineries within the tiny country. I even had the honor of meeting several of the founders which allowed me to learn so much, and I’m going to share it all with you! 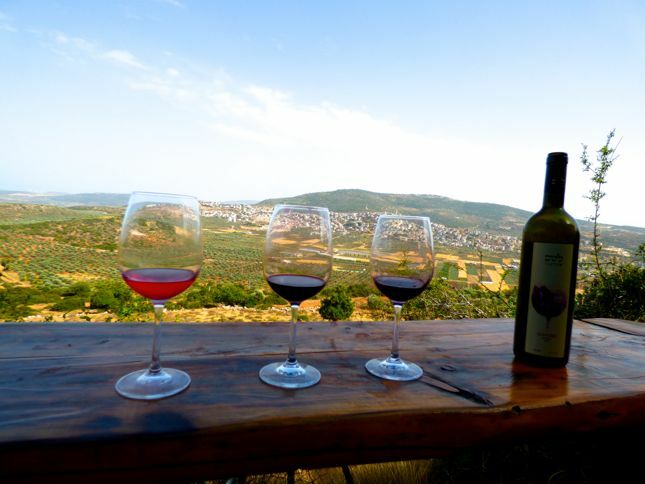 On your next visit to Israel, I’ve got your wine experience covered! 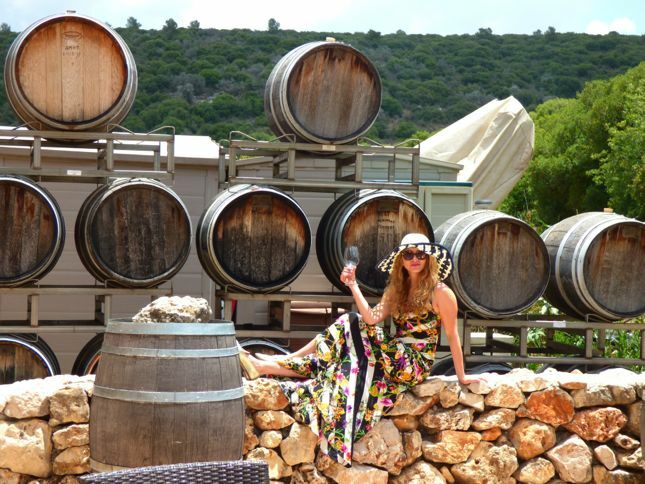 Amphorae is like the Chanel of Israeli wineries, my sister told me. After our visit, I understand what she means. This winery is has the most luxurious look; it’s an institution where you can expect excellent wine, great stories and a memorable time! 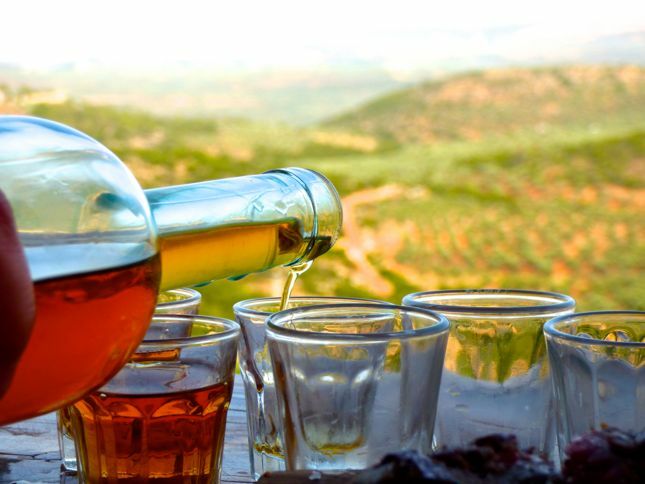 In-house wine expert Arkadie Papikian told me that Amphorae’s goal is to bring honor to Israeli wine makers and to gain international awareness and recognition for the incredible wine that is being produced in the holy land. Committed to the highest standard of wine, Amphorae has brought in Michel Rolland, world-renowned French wine consultant, to oversee the winery and create his own special blends with the winery’s founder —Velours 2009 and Velours 2010. 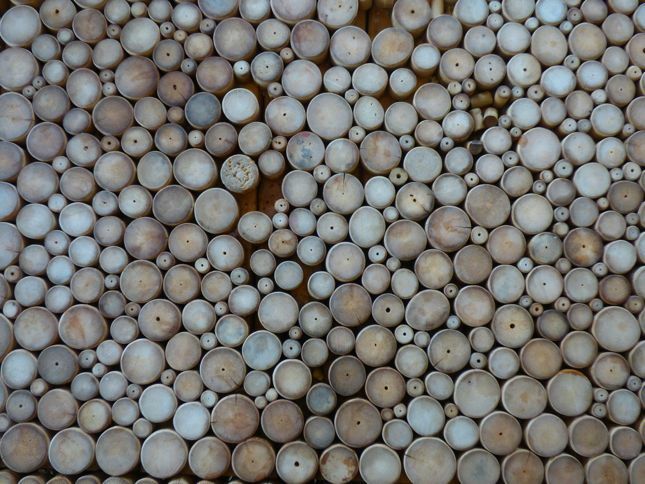 Amphorae produces about 70,000 bottles annually. 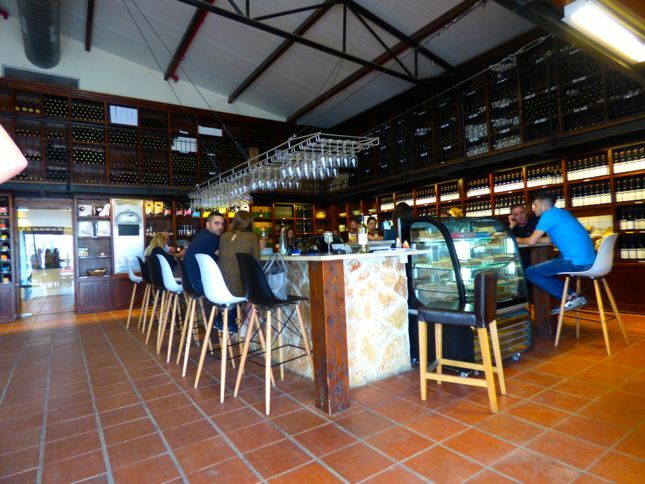 Their house specialty wine, Makura, has 3 offerings–Cabernet Sauvigno, Merlot and their house blend. According to Papikian, like fashion, there is are clear trends in wine as well. The latest one is white wine that tends to be more on the drier side. 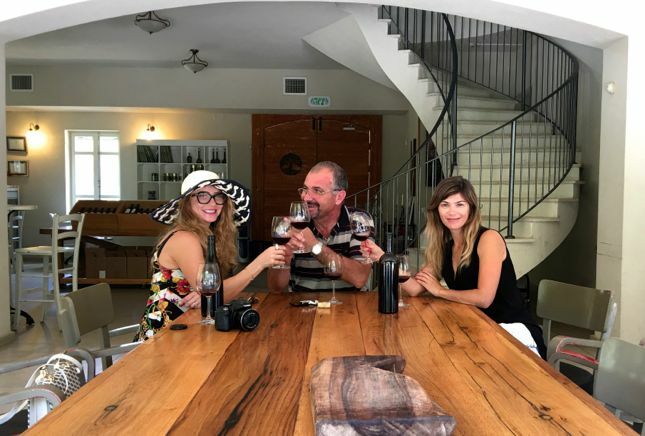 Papikian has a saying: “Good wine is born with a good mood”. And this is the vibe you get the minute you walk in! The good news is that you don’t have to be in Israel to taste the wine from Amphorae. Order it online here. 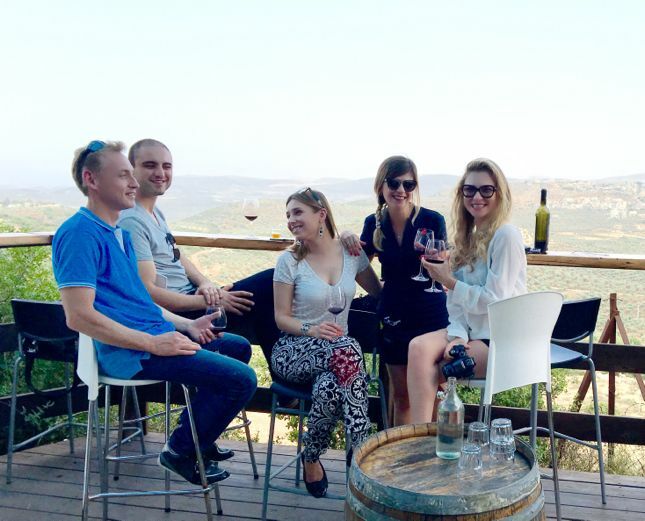 If you are looking for a great wine experience as well as a social scene, Tishbi is your destination. In addition to their unique wine, they also have a bakery, a home made chocolate bar, cheeses and a smoked meat truck on weekends. 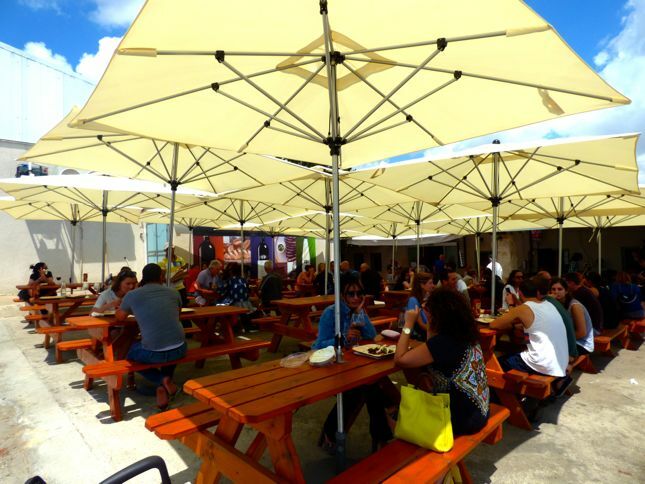 We arrived on a Sunday afternoon and the winery was packed with a beautiful scene of live music and awesome vibes. I had the honor of chatting with founder, Jonathan Tishbi (picture above). “There is no place like Israel”, Tishbi told me, and I couldn’t agree more! I was captivated by the amazing environment created by the winery. Tishbi said he started off by hosting wine with friends and soon the entire concept of hosting was born. Today, they have over 1,000 visitors on weekends. Tishbi wine can also be ordered online here. I loved hearing the amazing story of the man behind the Stern Empire–founder, Johnny Stern (pictured above). He was born in Brazil, and on his first day of Israeli army service, something remarkable happened. He saw his friends loading grapes into cars to make wine. This inspired Stern to take it to the next level and try a wine making course. When he served his first glass of wine to his teacher, he wouldn’t drink it. He said that he was too old to drink wine that wasn’t good. This motivated Stern to work harder than ever. Eventually Stern got it right and has been making award winning wine ever since. 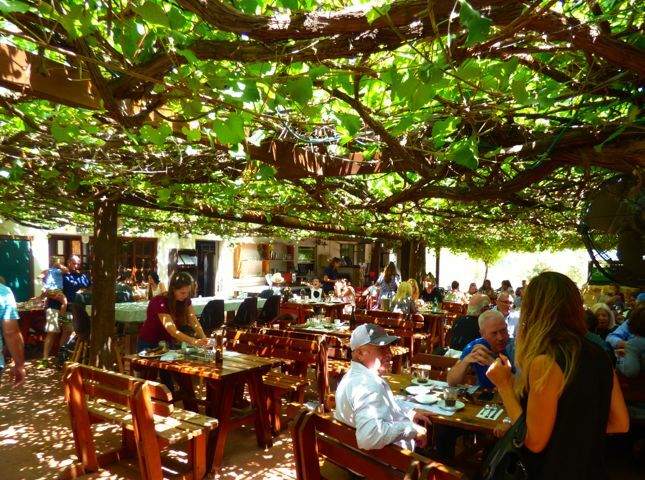 Stern wines can be found in some of Israel’s best restaurants, wine boutiques and, of course, their winery in Israel. 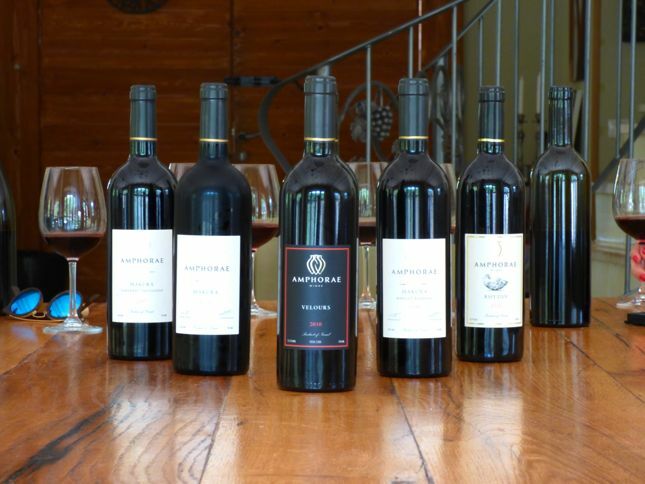 The Stern Winery was actually the first in Israel to make Cabernet-Franc. They also won the Top 5 award at Finger Lakes in New York City. Stern once said, “I only make wine I love.” Perhaps this is one of the secrets to his amazing success. Have you ever tasted a glass of wine that was born and influenced by music? One of the winery founders, Yaniv Kimchi did his research and strongly believes that music affects the quality of wine. 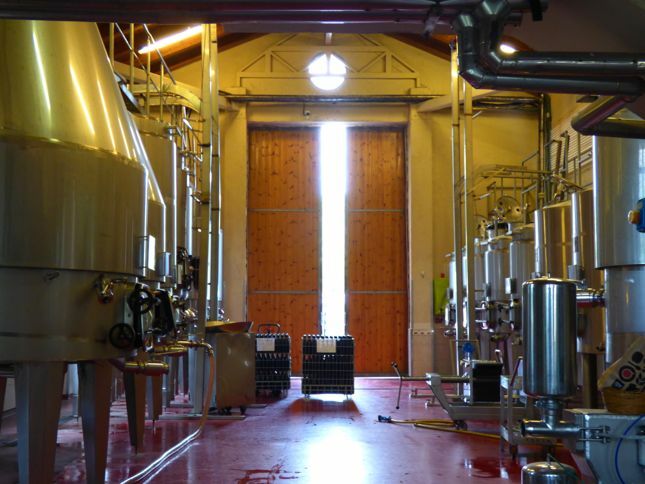 For this reason, all Lotem wines listen to music throughout the entire fermentation and aging process! Also, the naming of all their wines are inspired by musicians. 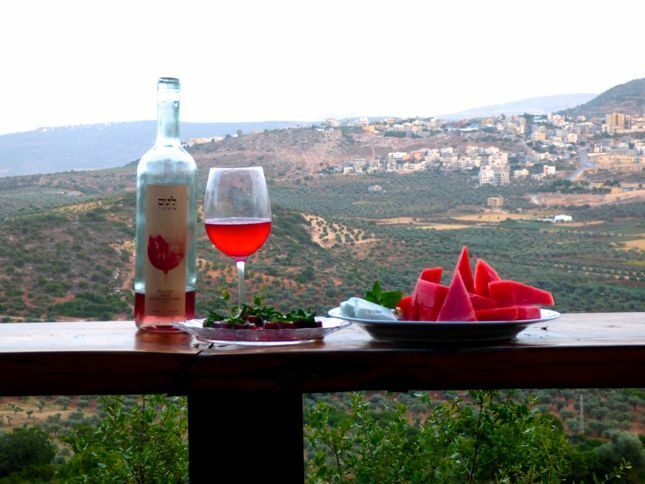 Lotem is the only winery in Israel that makes organic wine. 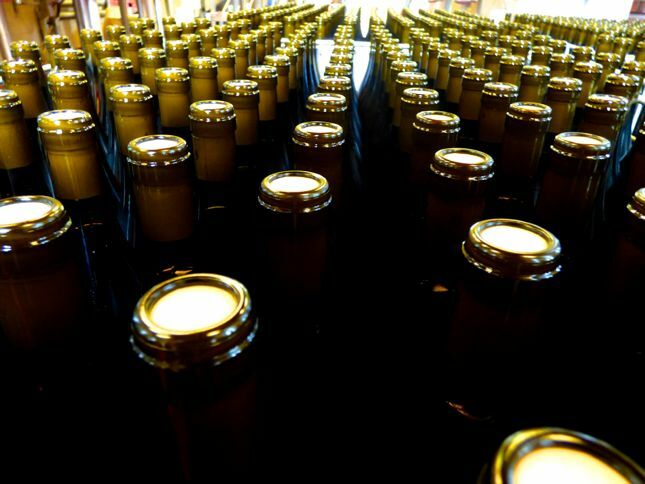 Because Lotem wines sold out last year, they doubled their production to 25,000 bottles this year. Their most popular is Shiraz and Allegro – a light blend of Cabernet Sauvignon, Franc and Nebbiolo. We visited with my sister and friends, and it was unlike anything else I have seen so far. It was a relaxing evening with lots of creative appetizers, such as tuna and watermelon, ceviche, fish shawarma and more. From their balcony, we could see all the way from the sea of Galilee and the Golan Heights to the Lower Galilee. 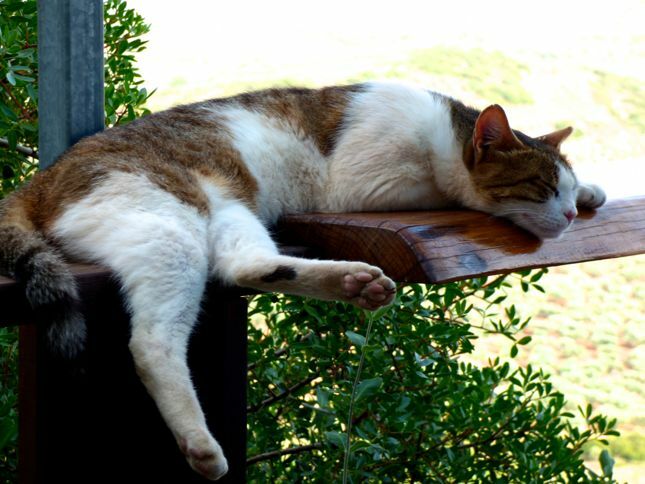 All the while sipping on their delightful wines, graphas and rose…with the occasional cat visitors that eventually became part of the view. 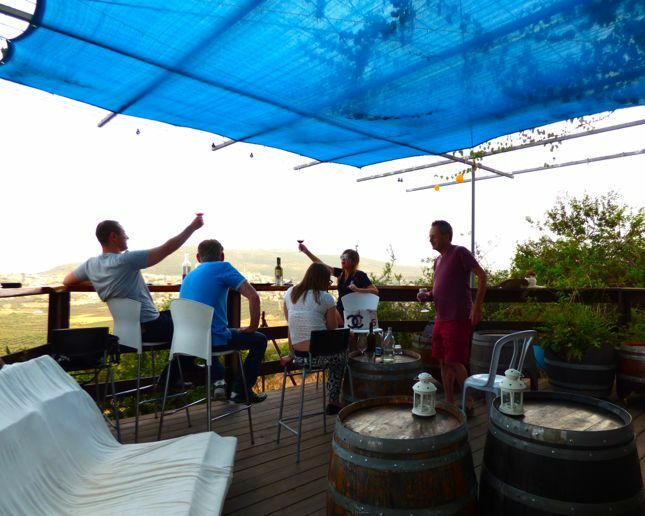 The entire concept of the visitors’ center and the balcony at Lotem was built by hand by the founders of the winery, Jonathan Koren and Yaniv Kimchi including tables that are made of old barrels. Lotem has no menu; they cook based on what’s available that day at the market, and I love that. I have been drinking wine for years and always loved good wine. But after being introduced to this entire wine culture in such fashion, hearing all the stories and learning about the process in this beautiful country, I appreciate wine so much more.